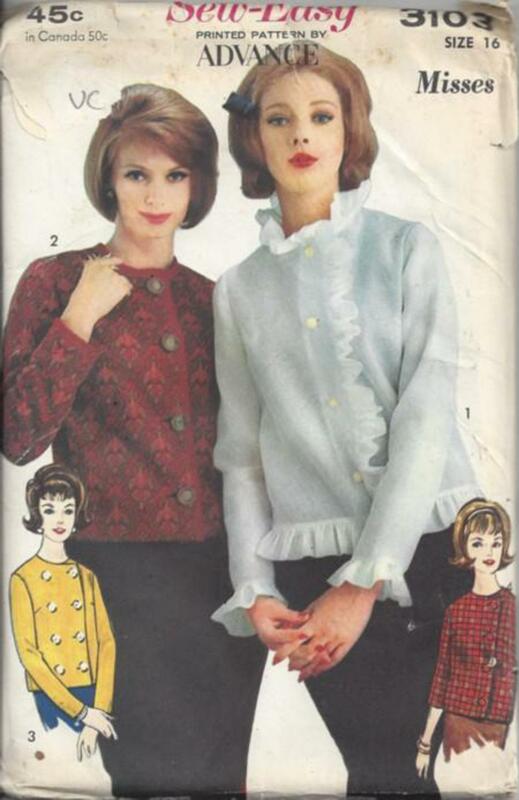 60s Mod, Retro Outerwear Clothing Patterns - STYLISH poet blouse or jacket set with chiffon ruffled trim, single or double breasted button closing. Long slim sleeves. So DANDY!